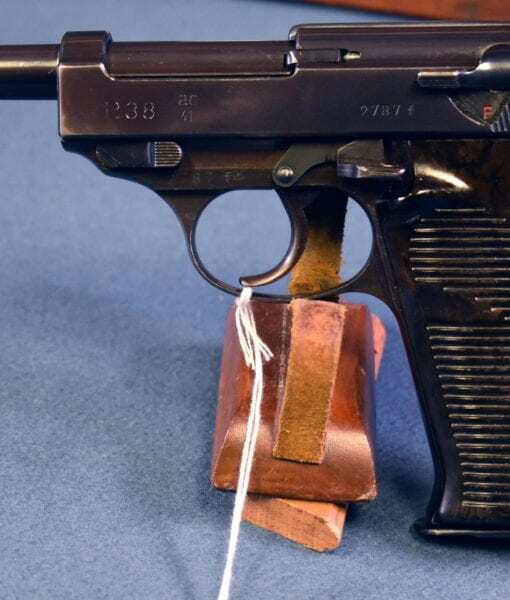 SOLD EXCEPTIONAL WALTHER P.38 PISTOL….ac41 HIGH POLISH FINISH WITH ONE MATCHING MAG…….. JUST STUNNING! 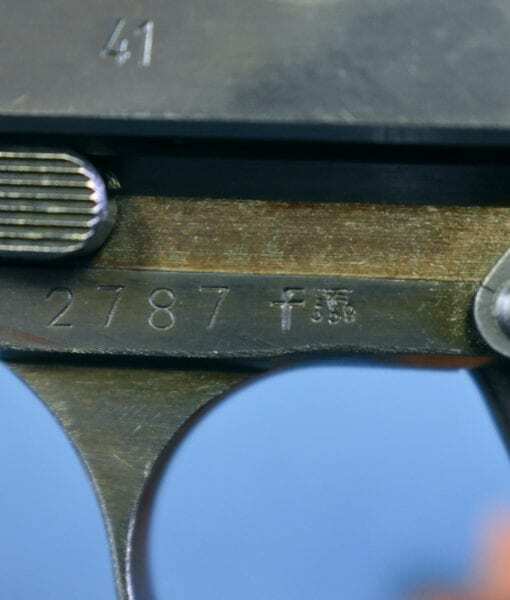 In 98%+ exceptional stunning condition, we have a top example of an Early 1941 production “f” block Walther ac41 coded P.38 Pistol with the original factory matching magazine. 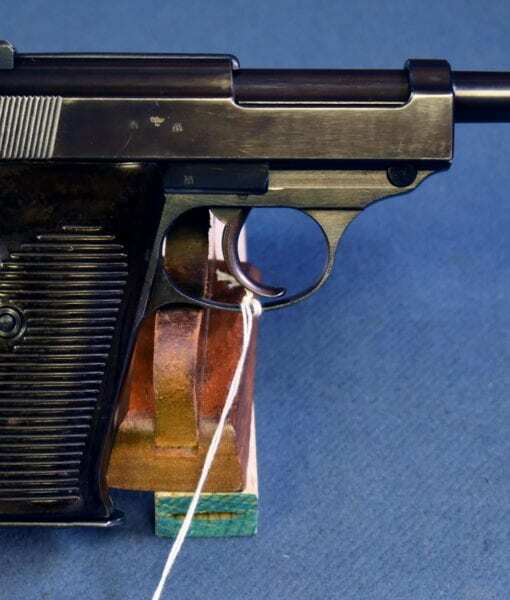 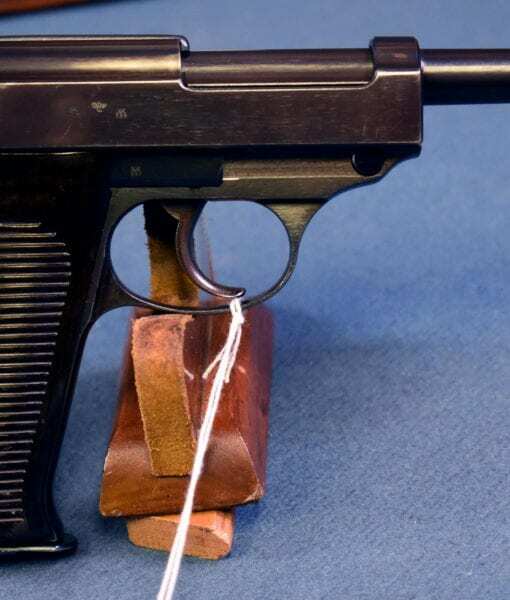 The pistol is all matching to include the magazine and the bore is in mint condition. 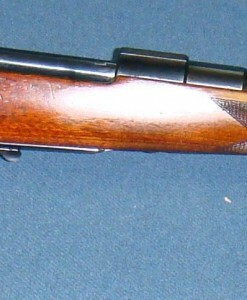 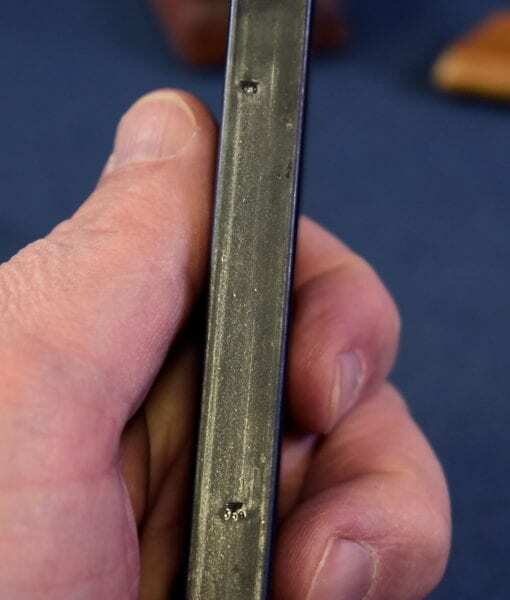 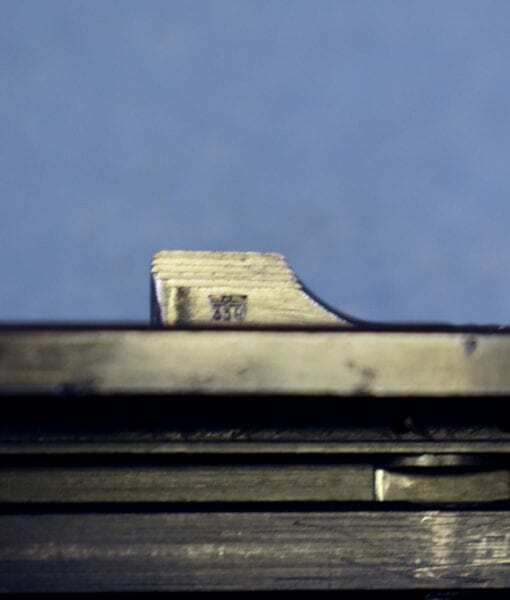 The magazine has the correct double waffenamts on the spine. 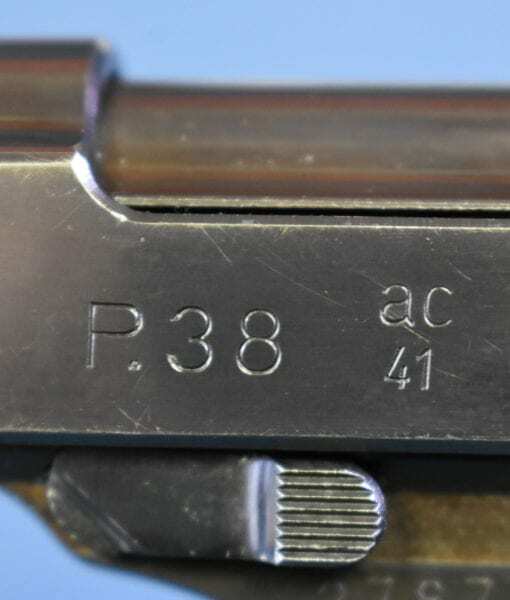 This is what collectors refer to as the second variation of ac41, it still has the high polish finish on the parts and is of the highest commercial quality in its fit and finish, making it a very attractive pistol. 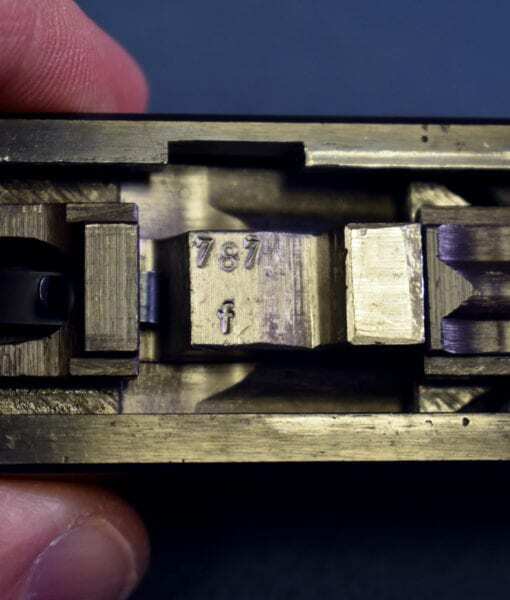 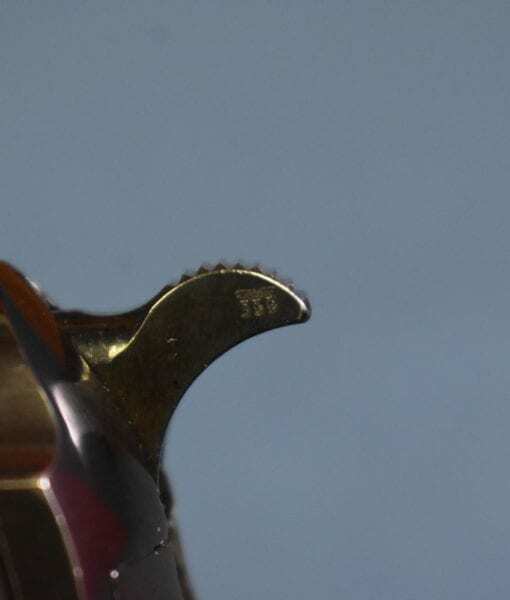 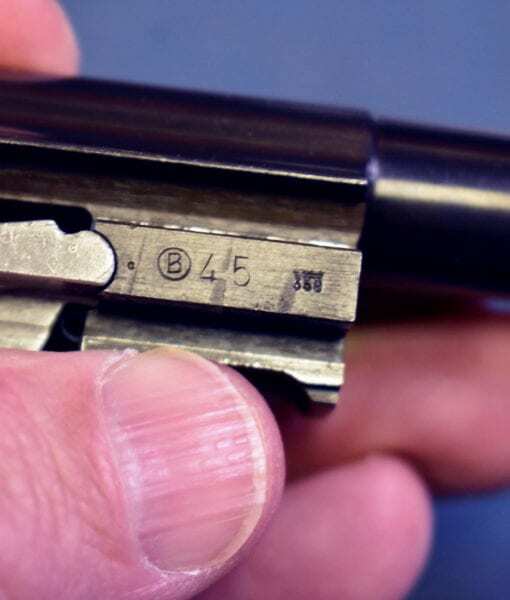 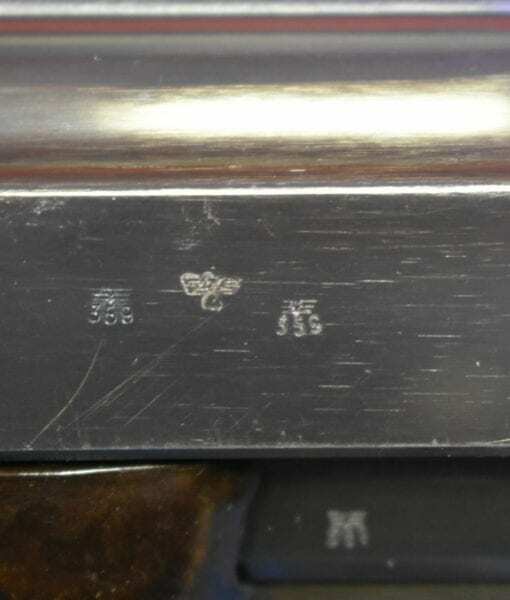 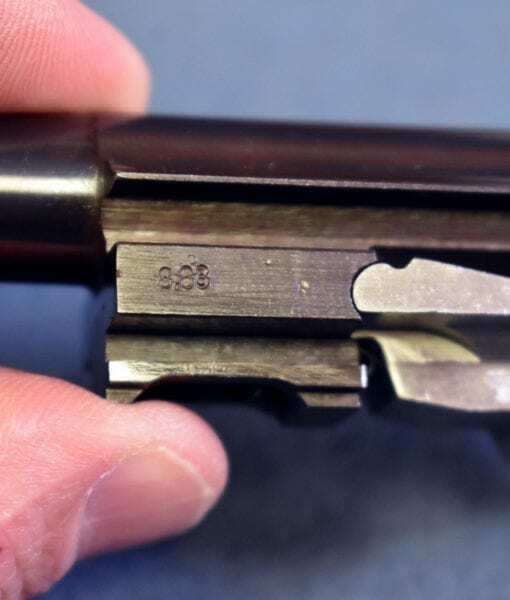 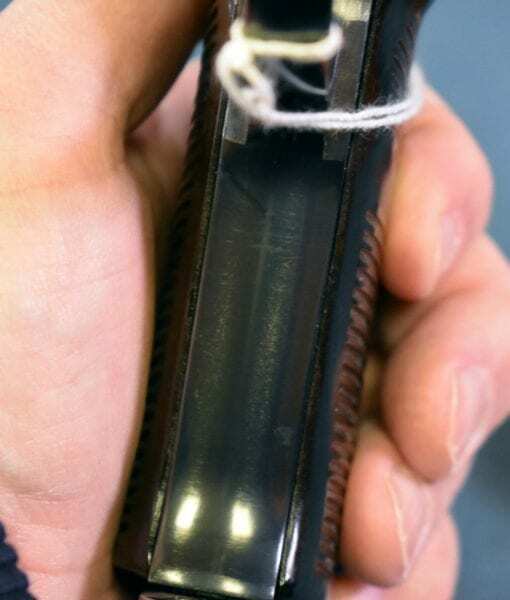 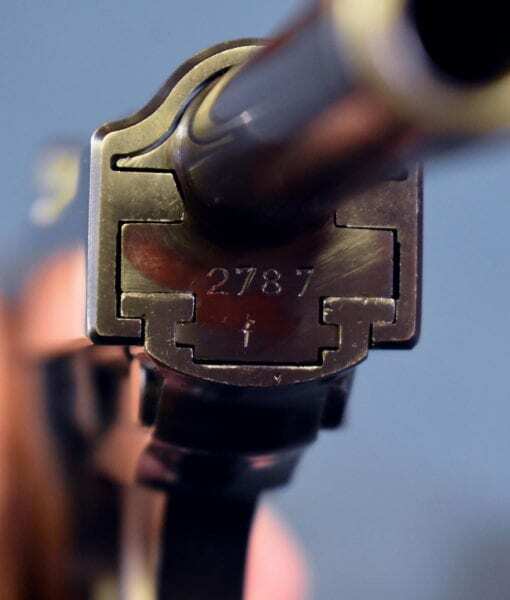 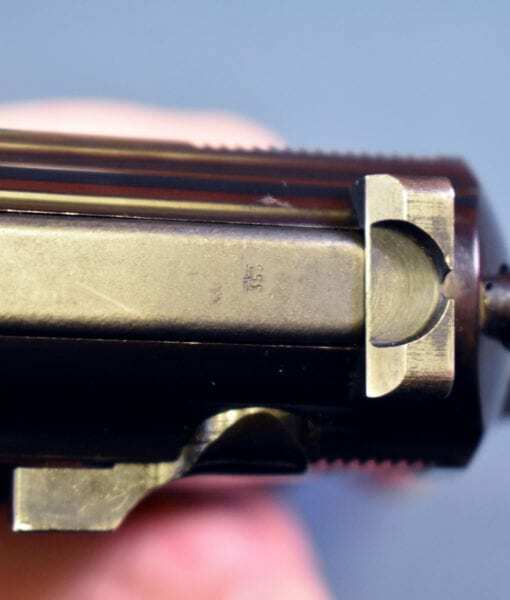 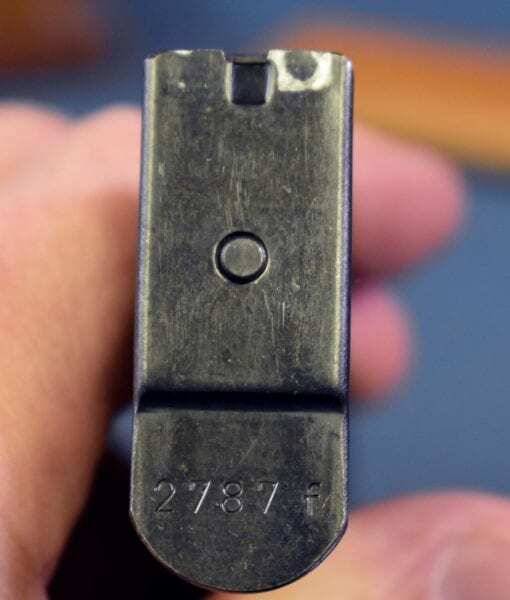 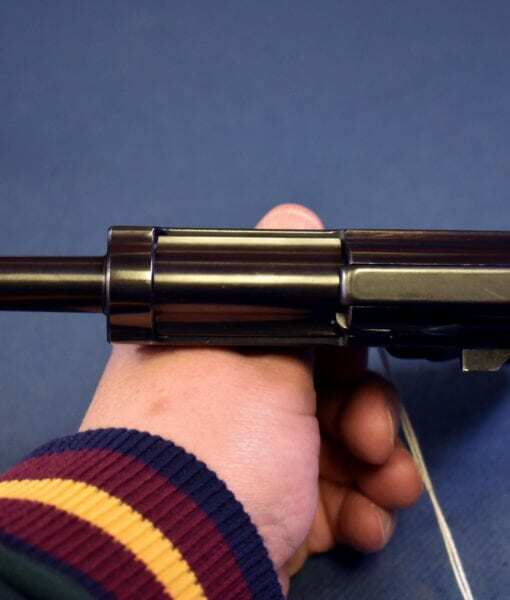 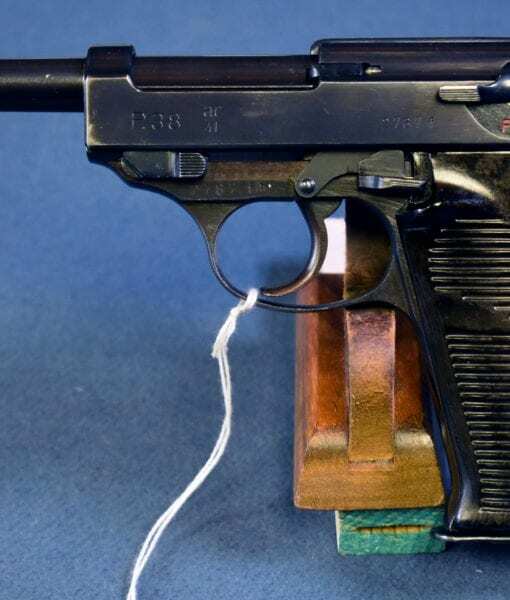 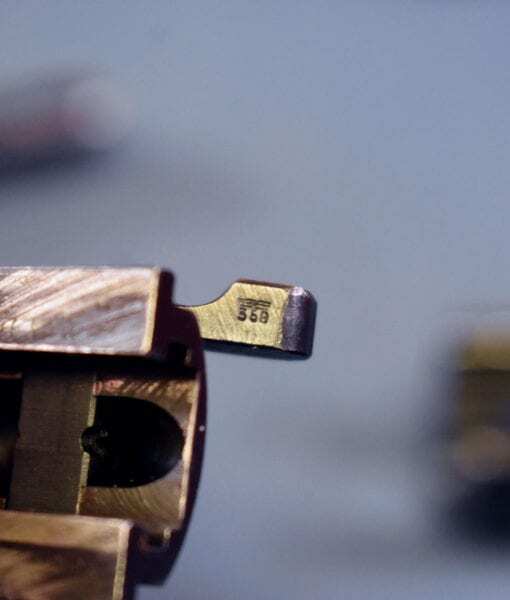 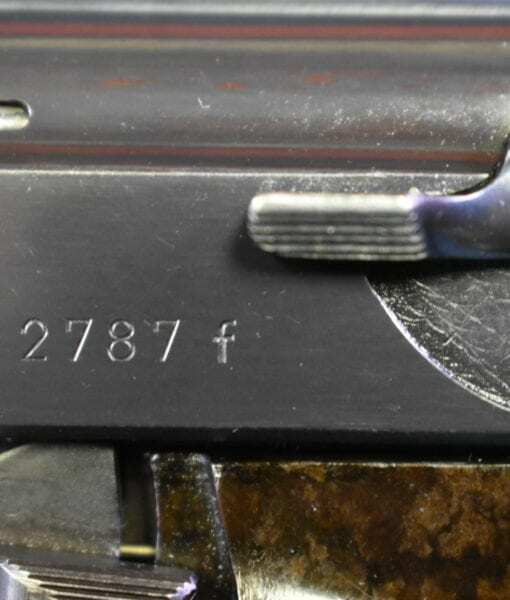 Due to the fragile nature of this type of finish, its a real challenge to locate a pistol in this top condition and still with the matching magazine. 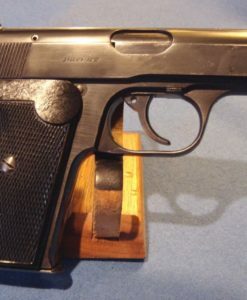 This is very much a prized example for any Military pistol collector. 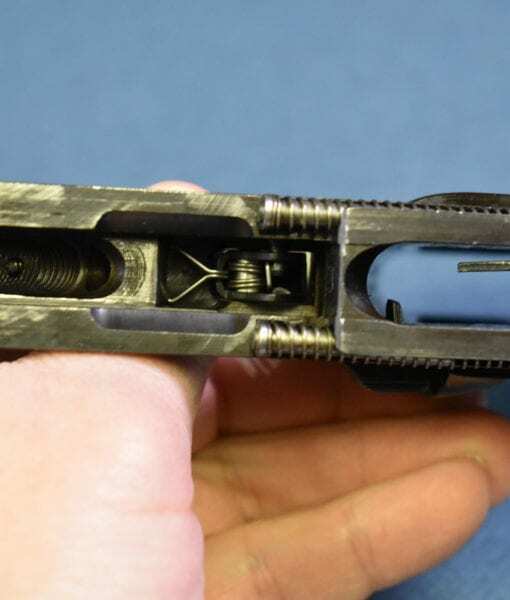 Absolutely one of the most eye popping examples that we have come across!